I am currently working with the New York School of Interior Design to help them develop a new social media strategy. The school is looking to use facebook, twitter and the other big networks to better engage current students, prospective students, Alumni, and potential donors. After working with their Communications Director for a period of time I am now charged with creating some sort of document, slideshow or video to convince the rest of the staff and board that we really should be spending work time using the facebook. I’ve become totally fascinated by social media in the last few years mostly because I see it changing the system of communication. Anytime systems change I get excited. Yesterday at work I got caught in a long conversation with my colleague about about how the “discoverability tide” is shifting on the internet. It used to be that companies would make themselves a findable website in hopes that interested consumers would visit that website. Now, thanks to these social networks everyone “has a website,” and we are discoverable to these companies. Which works well for them because they will put the work in to finding new customers. They also can better retain customers. If I visit a standard company website, I might never go back again. 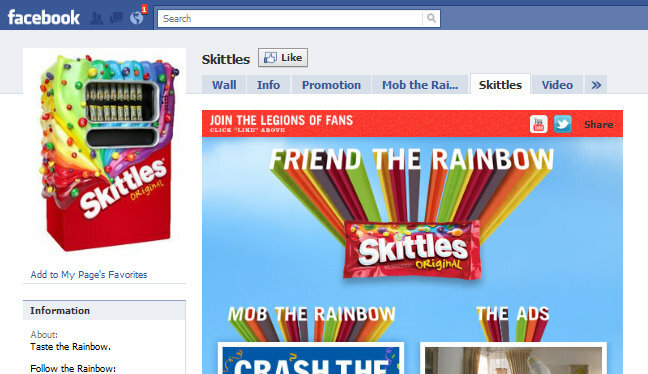 But if I end up on a fan page and decide to “like” Skittles… well then Skittles can reach out to me as often as they want (everyday) and I will see it as often as i go on the facebook (also everyday). They’ve got me everyday now all because I said yes once. A pretty sweet treat for Skittles. I guess I like scheming, because I’m excited by the strategy involved in all of this. I also like “plastic” words or expressions that have been invented in the past 2 years. I just run a google search for “discoverability tide” and I am pleased to announce that there are no results if you search with quotes. I guess I’ve invented a term.